UPDATED – SAN ANTONIO (CNS) — Answer the call to missionary discipleship by addressing the needs of your church. Meet young people where they are and just listen. Improve catechetical resources and prepare future leaders. Martha Pena, who has been a catechist for over 20 years and now does prison ministry in Little Rock, Arkansas, shared the encuentro program with the inmates of three prisons during her weekly visits. She also encouraged parishioners of St. Edward Church to reach out to those in prison. San Antonio Archbishop Gustavo Garcia-Siller told Catholic News Services that the “V Encuentro” process is for every parish. 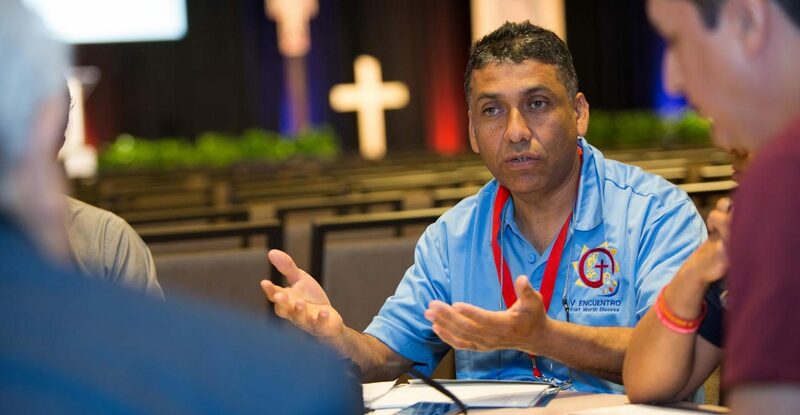 “We had made a decision that the culture of encuentro will be part of the (archdiocesan) pastoral plan, so we are going to be embracing more and more parishes until our parishes are attached by the ‘Joy of the Gospel ‘that is the heart of the whole of ‘V Encuentro,'” he said. Organizers explained that the multiyear “V Encuentro” process seeks to activate at least 20,000 new Hispanic Catholic leaders nationwide. People such as Marco Elizaldi, who traveled 12 hours to San Antonio with his Tulsa delegation. Jackie Flores, a youth minister at St. Thomas More in Tulsa, added that the “V Encuentro” process encouraged her to evangelize in her community and family. “The ‘V Encuentro’ helped us to see that we don’t only need to help ourselves but we need to help others,” she said. Beltran himself found a second home through youth ministry at his parish when he was a teenager. This encouraged him to serve the Catholic Church through in Pastoral Juvenil, which is what he did as soon as he received his Deferred Action for Childhood Arrivals, or DACA, status and was able to work for the Beaumont Diocese. The three-day Region X encuentro concluded with the celebration of the Mass, with Archbishop Garcia-Siller as the main celebrant, and a reminder of the baptismal call to be missionary disciples.